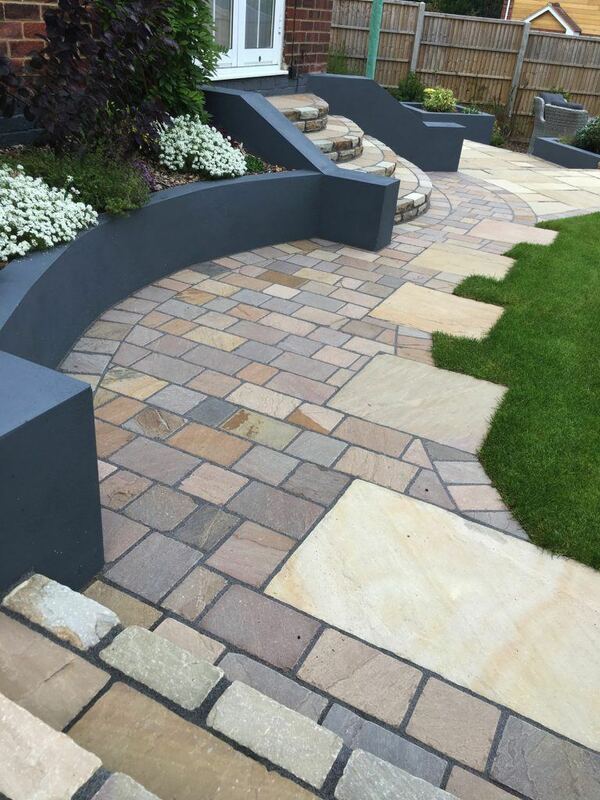 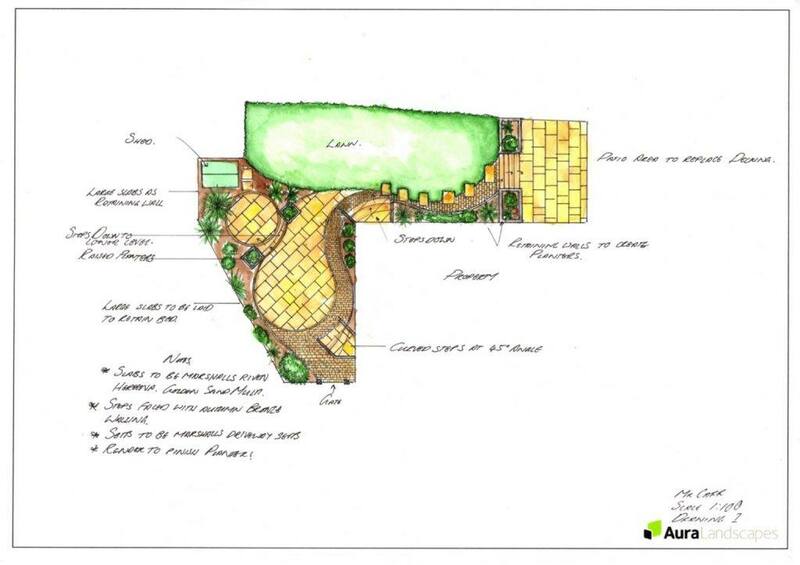 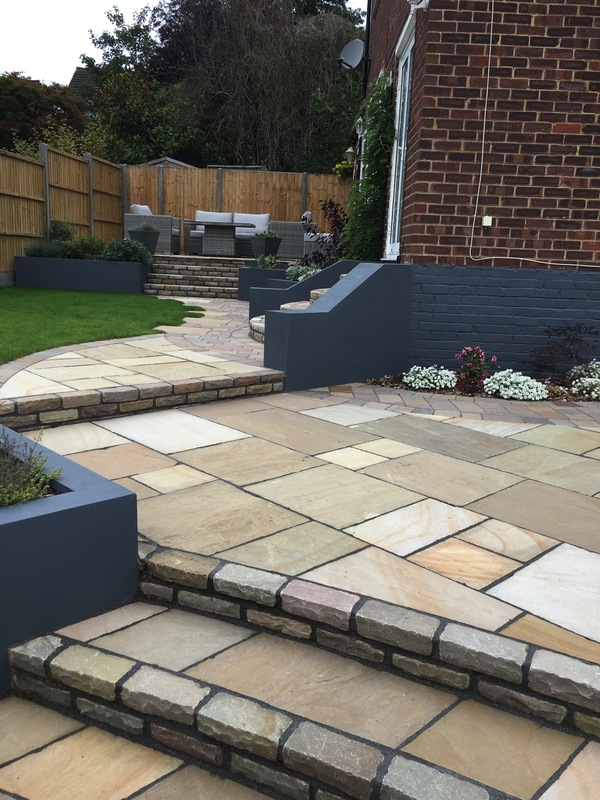 The client contacted Aura Landscapes as they were keen to have a ‘wow’ driveway with a bespoke design and had seen a particular project on our website that they liked. 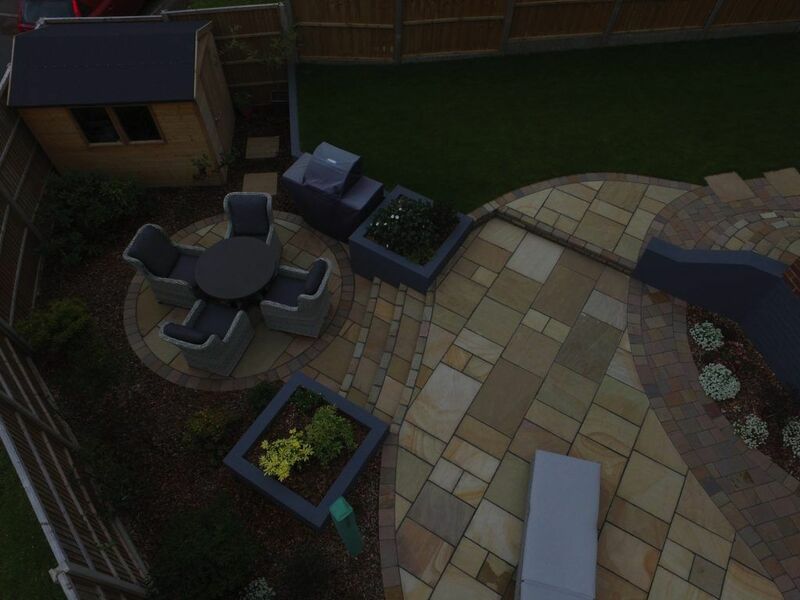 They were open to suggestions on products but did want to incorporate the new Marshalls Magnasett product. 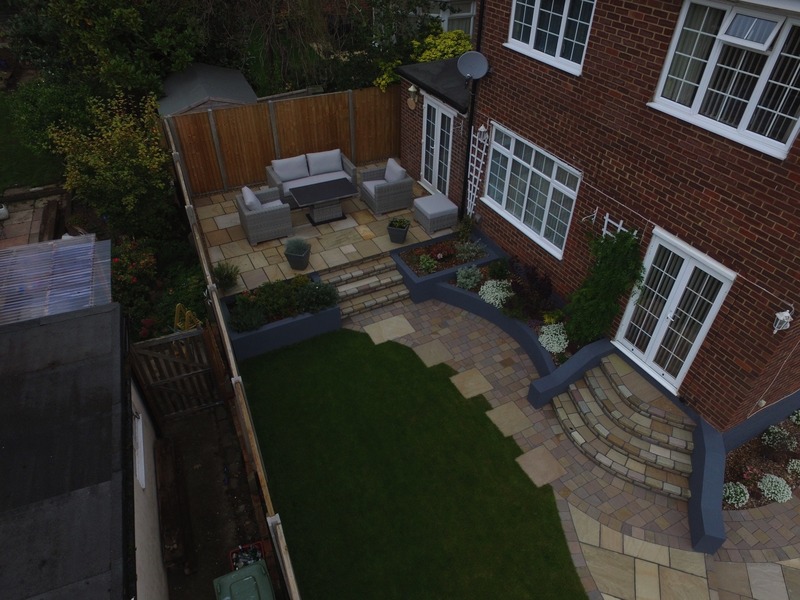 We embarked on a design and once happy with the design details, products and timescale the project began. 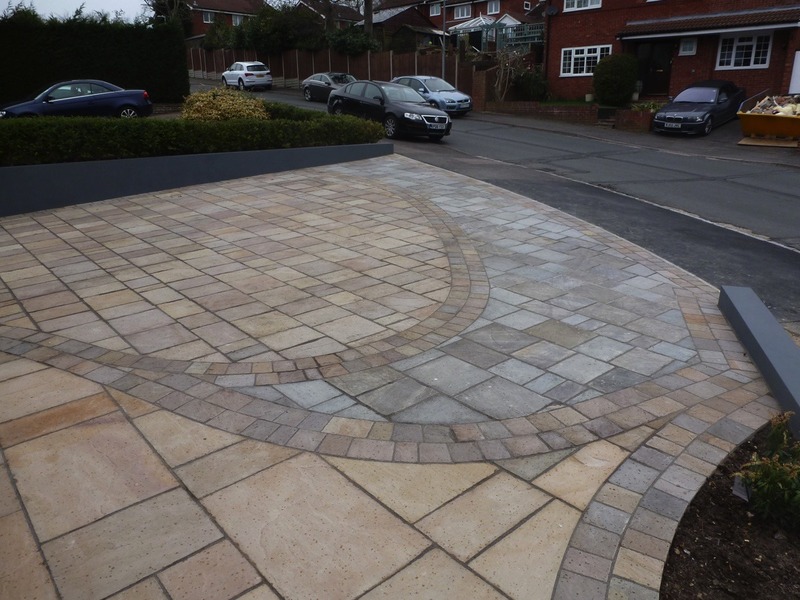 This completed driveway project won two awards: Marshalls Regional Award for Best Driveway Transformation 2016 and Highly Commended Hard Landscaping Project at The Association of Professional Landscapers (APL) Awards 2017. 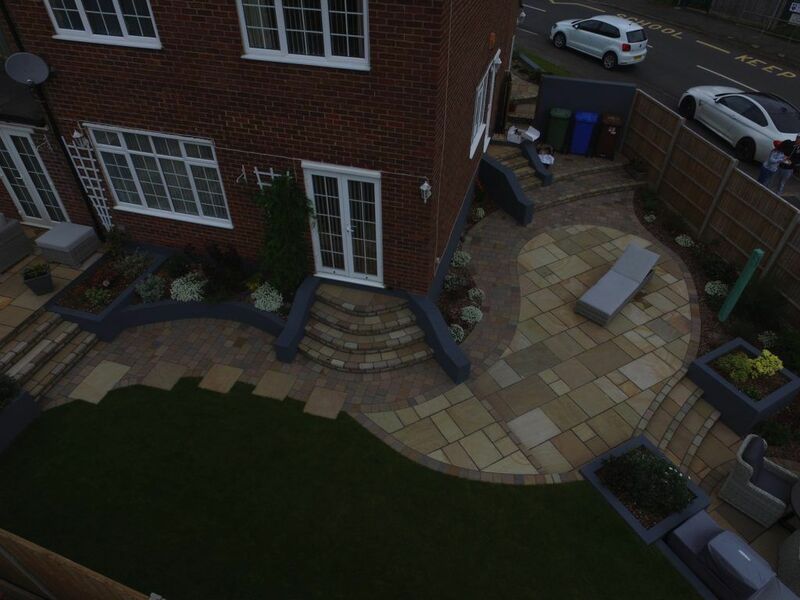 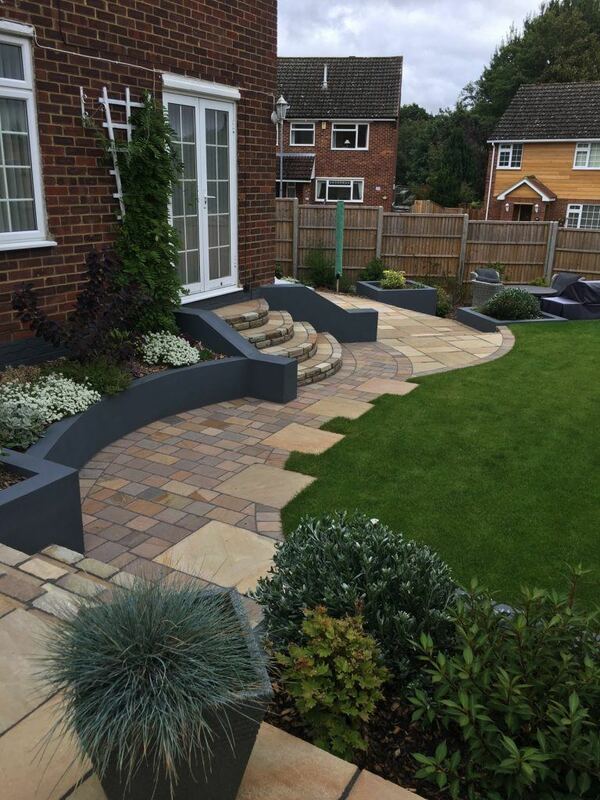 Having had the driveway completed by Aura Landscapes in 2016 we were asked to come and complete a complete garden transformation that followed the design of the driveway through into the garden. 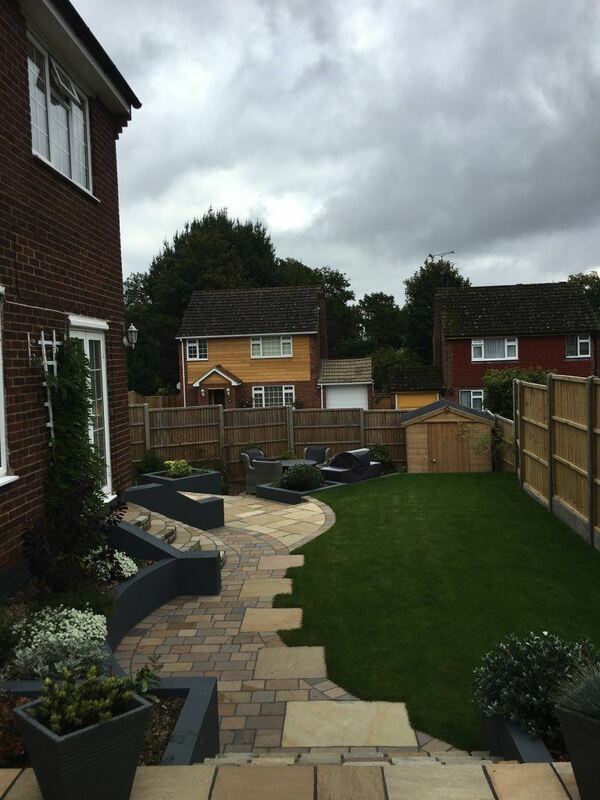 Work was completed in May 2017. 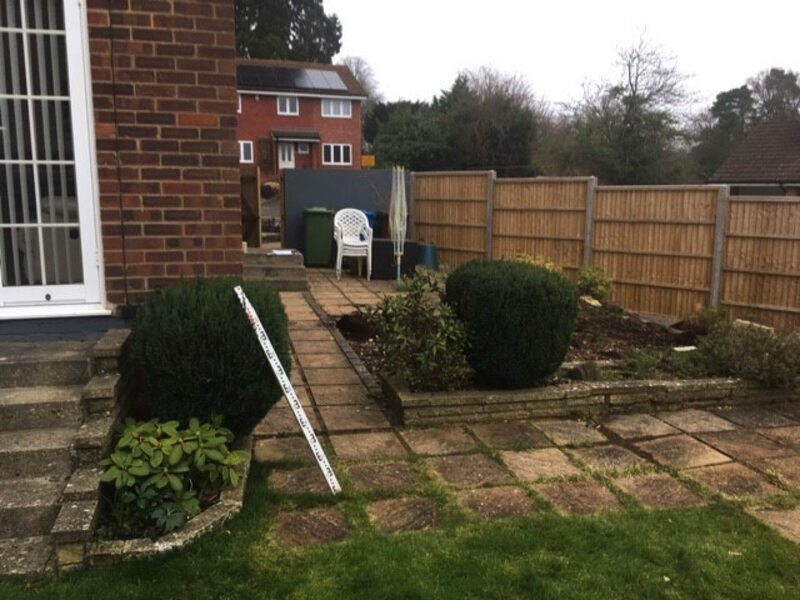 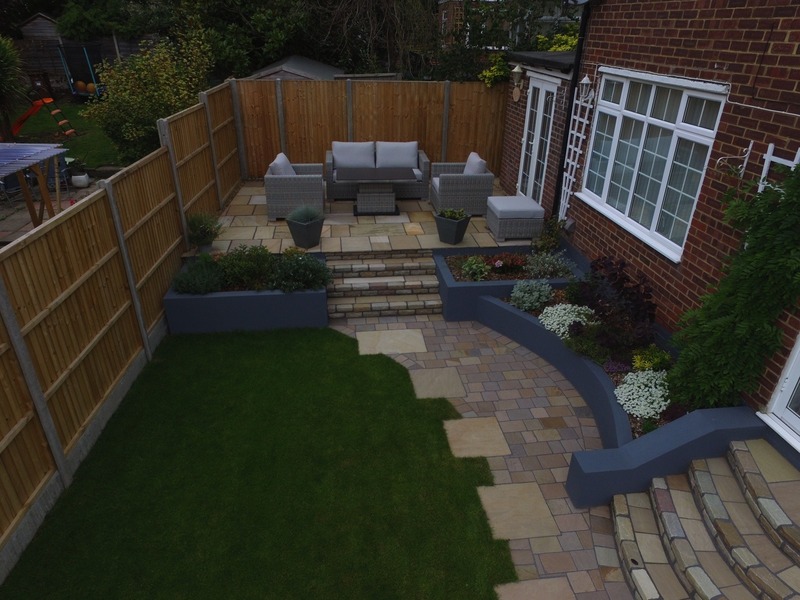 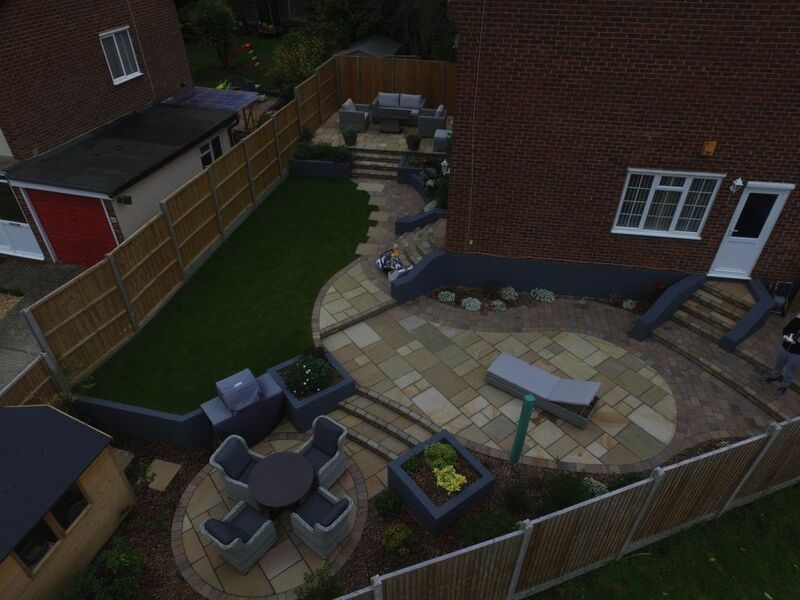 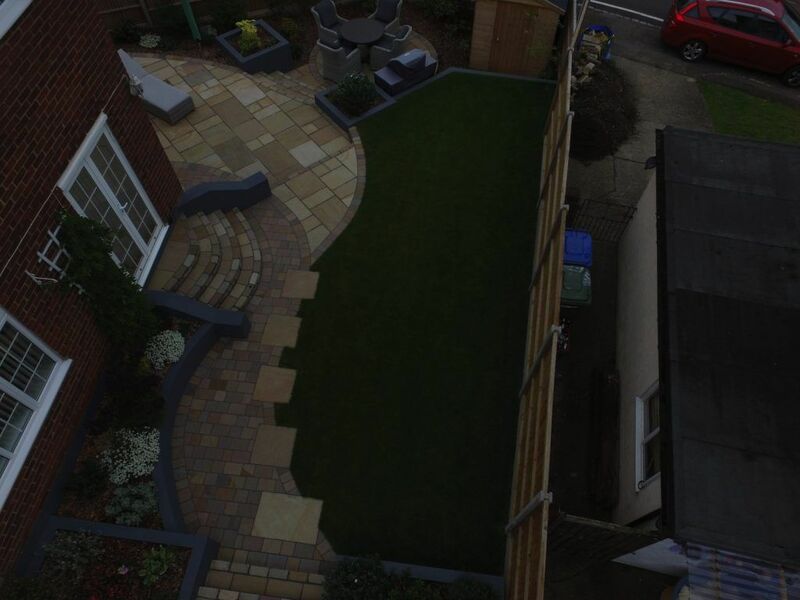 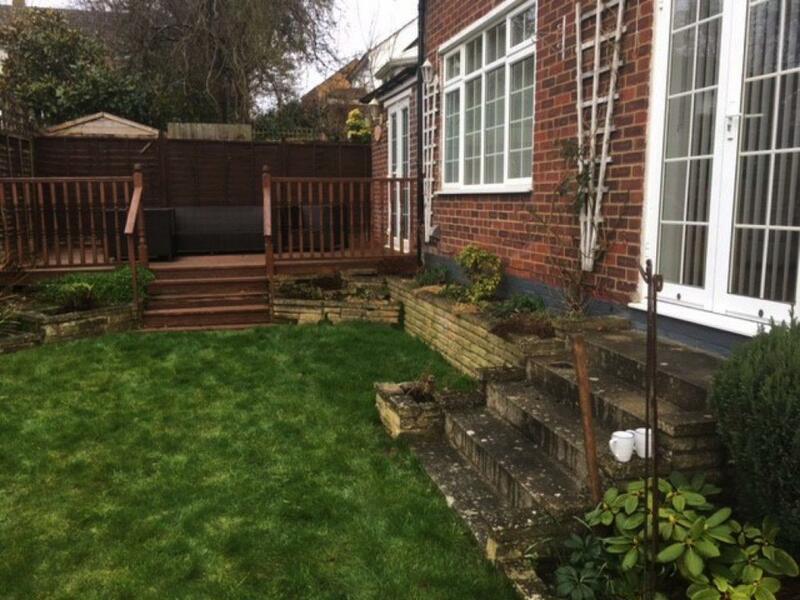 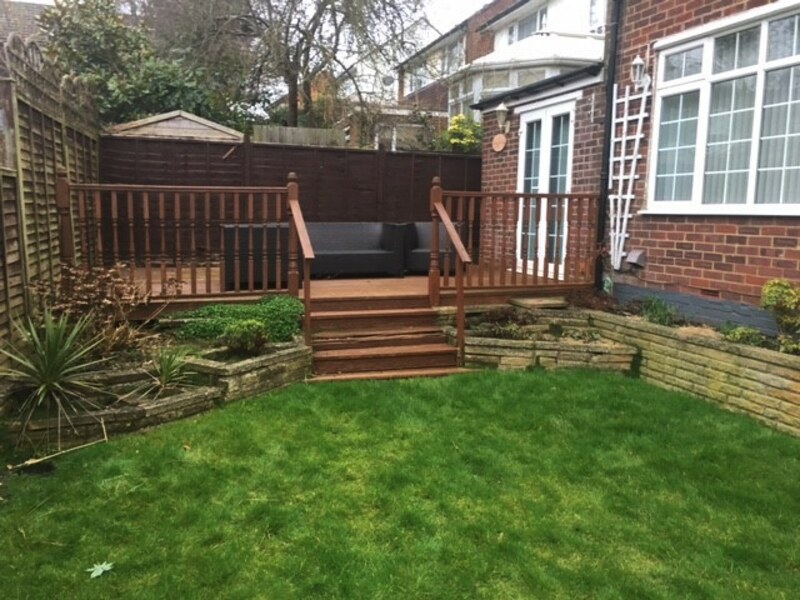 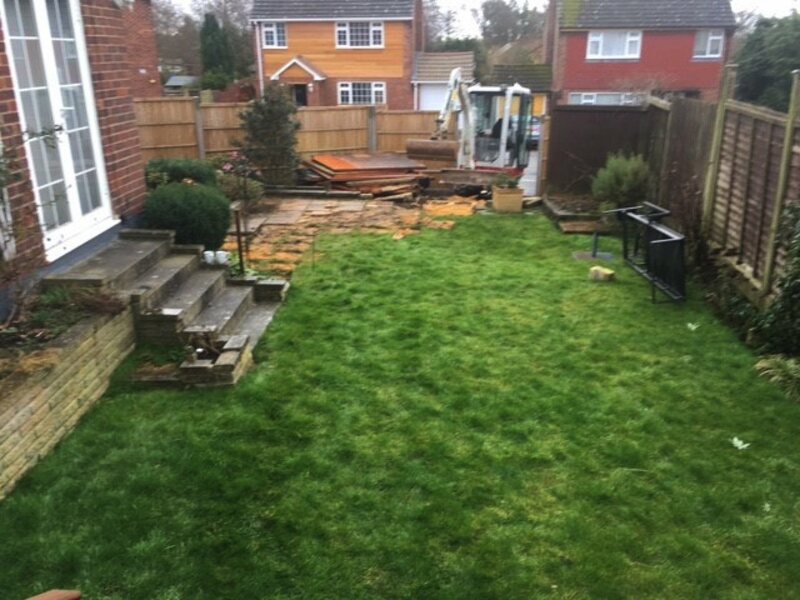 The client wanted a useable back garden due to the issue that the existing garden space was on multiple levels and deemed un-functional and therefore not used enough. 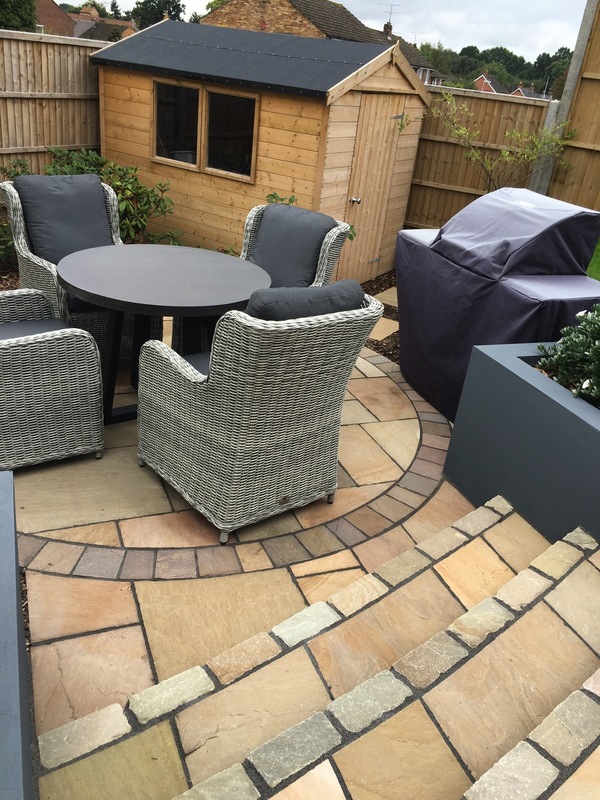 Along with continuing the theme and design of the driveway through into the garden, the main aim was to create different entertaining areas on each of the levels on the garden to make it work for the client. 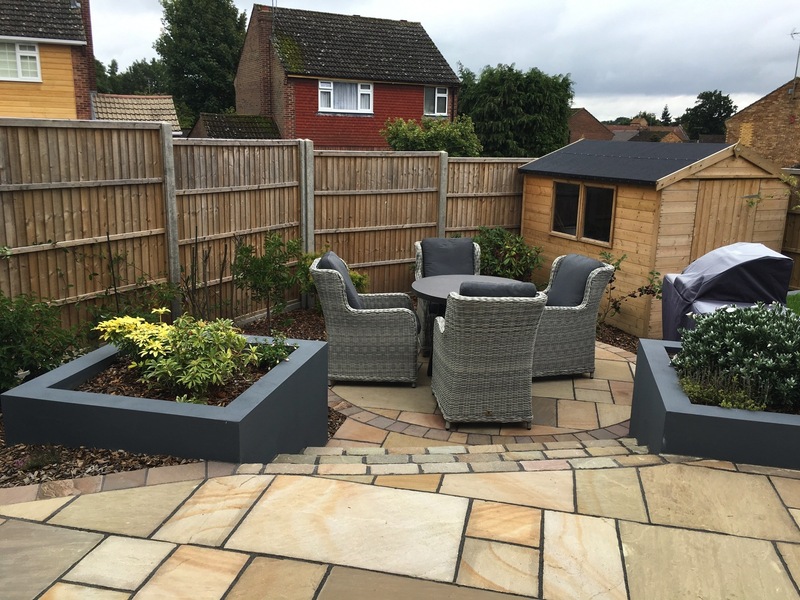 The end result was incredible and this project won a Marshalls Regional Award for Most Creative use of Marshalls Products in 2017/18.